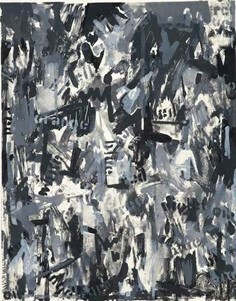 Jasper Johns, born May 15, 1930 in Augusta, Georgia, is one of the most influential and recognizable American artists. Initially attending the University of South Carolina, Johns left after one year and moved to New York to focus on his art. When he arrived in New York, he met fellow painter Robert Rauschenberg, who greatly influenced his art.